I hope you are having a wonderful summer! Are you traveling? Reading any good books? I am busy writing Book 3 in the Safe Harbor series–which is foster sister Cat’s story–and I think you’re going to love it! Lots of secrets in this one. 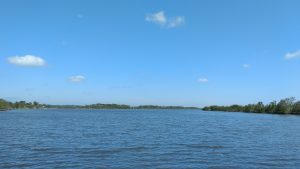 Hubby and I are also spending time out on the water and hanging out with friends and family whenever we can. What about you? 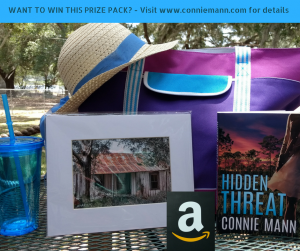 Let me know what you’re doing this summer (post in the comments below by 7/30) and I’ll send one lucky winner a copy of HIDDEN THREAT (print, e-book or audio–winner’s choice). CONGRATULATIONS to Nicola for winning the HIDDEN THREAT Giveaway! If you’re not on my newsletter list yet, I hope you’ll sign up so you won’t miss any book news, specials, or giveaways like the one above! CONGRATS to “bn100” as well, who won a copy of HIDDEN THREAT for commenting on a recent blog post. I want to thank you for your positive portrayal of loving, caring foster parents in Tangled Lies. I am blessed to have lived with my foster parents for exactly thirteen years. They literally saved my life. Hi Maxine, I am so glad you had wonderful foster parents! That makes my heart smile. It was a joy to write the Martinelli’s story and I’m glad you enjoyed it. Thank you for sharing your story with me. Loved, loved, loved Tangkes Lies & Hidden Threats. Hubby & I listen on audible and can hardly wait for Cat’s story. Maybe one on Nick/Tony & Blaxe too??? ?